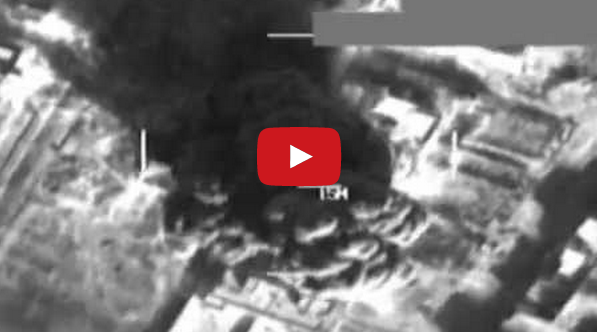 New Pentagon Video Shows US Airstrikes On Islamic State. The Pentagon has released a video from yesterday’s airstrikes. The video was taken by cameras on board the aircraft. According to information on the US Central Command’s YouTube channel, the video below shows a strike by a US aircraft on an Islamic State storage facility near Abu Kamal, Syria. The Pentagon has confirmed that Saudi Arabia, Jordan, Bahrain, Qatar and UAE have all participated in and supported the attacks. “US military and partner nation forces are undertaking military action against ISIL terrorists in Syria using a mix of fighter, bomber and Tomahawk land attack missiles,” said spokesman Rear Adm. John Kirby. Get Ready To Shell Out More Money For Your iPhone 6, Apple Did WHAT!? !